Members of Didcot Writers have worked together to produce three collections of short stories - and counting! To find out more about current submission opportunities and future publications, click through to our Wordpress site: we run a monthly themed competition, selected entries to which are published online and in paperback; and also provide details for submissions for our next printed anthology. The Most Normal Town in England, launched 5th December 2018, is the group's second collection, and its first in print. In this anthology authors were challenged to consider what makes a town normal - or not: who lives there, who never leaves, what skeletons are lurking in the closets? 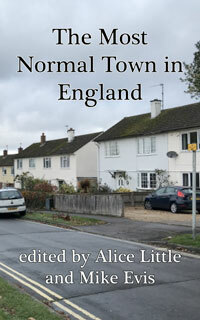 From sci-fi to romance, from horror to literary fiction, this book contains 42 stories by 40 authors detailing the happenings in a range of apparently normal English towns, villages and cities. Find out more here and buy the book here. Compositions: a collection of short stories on the theme of music, launched on 5th December 2018. The stories in this book were selected from among the submissions to our competition in summer 2018. You can read some of the stories on our Wordpress site. From musicians to collectors, instruments to electronics, this book approaches the theme of music from a range of directions. 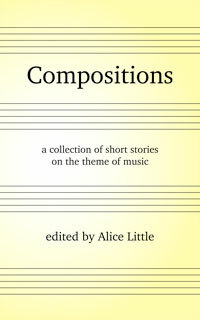 Buy 'Compositions' in paperback and ebook format here. The Cornerstone Mysteries is an online collection of short stories edited and presented by Mark Lewis. This is the first short story collection completed by members of the current group, though it was the third to be published. The collection was published on 24th January, and is available to read for free online, here. Some small print: this site contains Amazon Associate links, which means if you click through to buy books from here Didcot Writers will earn a tiny additional amount from qualifying purchases.